Very close to Ushuaia is the fishing community of Puerto Almanza, men and women who have dedicated their entire lives to fishing now have the courage to work collectively to face the big companies that want to take them out of their territory. They came together to share their traditions with tourists and thus be able to defend and stay in their territory. How is VSocial involved in the project? 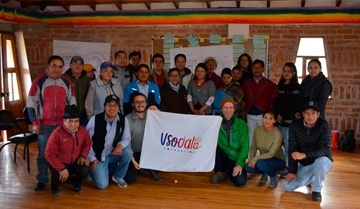 VSocial is supporting all the training and training for the preparation of the tourism product in an associative way so that there is a common fund and can activate various economic vocations of the territory. VSocial supports them with knowledge transfer (trainings, workshops), advices and helps them that their tourism product fulfills international standards, focussing on sustainable tourism. In addition, the project receives visits from tourists via the VSocial cooperation partners. What impact does the commitment have? We support 10 families of Puerto Almanza directly with this project. Support Puerto Almanza Project directly with your donation*! * After you have sent us your details, we will contact you to organize the donation process with you. Soon there will be the possibility to donate by Paypal or credit card. Want to do more for this project or for VSocial in general? Great, let´s become an ambassador! Please Contact us to find out together which support option would be best for you. This project is about the sponsorship of a training program for certified guides through the alliance of a local cooperative in Mexico. 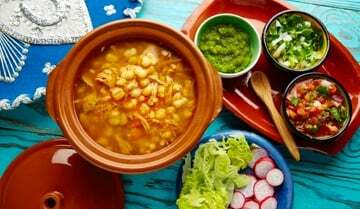 This project consists in supporting local women in developing the necessary skills to benefit from tourism and at the same time, offer a unique experience by sharing their culture through the traditional Mayan cuisine.